Not long ago, I had a great opportunity to speak with EJ Manuel. 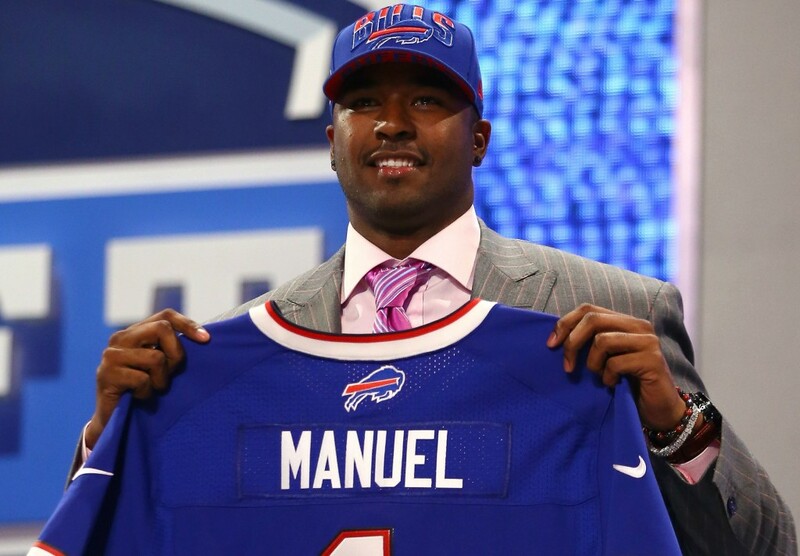 In case you are like me and aren’t familiar with EJ, he is a quarterback for the Buffalo Bills. During our conversation, EJ told me about the impact cancer has had on his life, which was unexpected but in many ways a blessing. As you will see, EJ found a way to turn the pain of cancer into a rewarding an impactful role as an advocate for cancer patients and their families, both on and off the field. Cancer has played a recurring role in my life and in ways I am very thankful for that fact. In September of my senior year at Florida State my mom told me she had stage one breast cancer. My mom, being who she is, brought it up in a cheery way with a smile on her face. I, however, was in shock and didn’t want to believe she was going to have to go through what was ahead. It’s interesting, we all know what cancer is, but we never think it will happen to someone close to us. Over the course of her treatments, even though she was the patient, my mom provided me great comfort. Because I was at school, I didn’t see her go through the day-to-day battles with her cancer, but when I spoke with her daily she always sounded upbeat. Plus, my dad would send me pictures of her in her treatment chair with tubes hooked up and she was smiling and happy. She did lose her hair and a lot of weight, but her chemo was working, she was beating cancer and she remained a positive force. I know it had to be harder on her than she let me know, but she didn’t want to overly distract me from a year of football that would determine my chances for the NFL. That’s how she and my dad are, never putting themselves first, instead always thinking about my sister and I ahead of themselves. I would later learn just how lucky I was to have my family and faith in God to get me through this, as that’s not the case for everyone. About a week before my mom told me about her cancer, I had a different experience with cancer. My Florida State and now Bills teammate, Dustin Hopkins, and I learned about a young man named Austin who was a big Florida State fan. Austin had been diagnosed with terminal cancer and was bedridden in a town near our school. The cancer had come on really fast – he had been a normal and healthy teenager three or four months before. Dustin and I went to see Austin that week and took him a football and a bunch of Florida State gear. We just hung out with him and even though he was sick he was so excited and elated to see us. You could see it in his face, even in his skin tone. Somehow, for that short period of time, everything changed and he was so upbeat. Austin passed away the next day. That hurt Dustin and me deeply, but just the fact that I was able to give him something to be happy about during the last days of his life was very memorable to me. I’m not saying that he passed away because he suddenly thought, “now by life is set because I met a couple of Florida State football players.” But, my soul is filled knowing I may have eased his suffering a bit in his final day. Certainly, it was hard to see this happen to somebody, but sometimes we don’t know the impact we can have by doing something fairly simple. Today, cancer is still part of my life, as I volunteer some of my time on and off the field to Camp Kesem. Camp Kesem provides free, life-changing summer camps nationwide to children affected by a parent’s cancer. Sometimes as a kid you don’t know how to handle something like this, you don’t know who to talk to or even how to talk to someone because it’s such an emotional thing. Going to camp allows the kids to let go a bit and just be kids, while meeting others going through similar challenges. I know firsthand how important it is to have a strong support network when dealing with a parent’s cancer. As an official Athlete Supporter, I have pledged to help Camp Kesem deliver on its mission. Sometimes that means going and spending time with campers, which is such an incredible experience. I am also raising money for Camp Kesem. Every time I throw a touchdown pass, they get a donation. It’s something I am really proud of because there are millions of kids facing the same thing I did with my mom. And, some kids don’t have the opportunity to experience something like Camp Kesem. So, what better way to give back than to embrace them with my touchdown pass and give them a chance to go to camp. I’m throwing touchdowns for kids, not just the Buffalo Bills and myself. Cancer is a horrible disease and it is incredibly difficult to see the impact it has on both the sick and the healthy. But, in many ways its presence in my life has been a gift. It has taught me great lessons and provides me with a way to be of service to others. I am blessed to be part of the Buffalo Bills and incredibly thankful for the platform it gives me to have an impact on others. E.J. Manuel’s full story, as well as many more stories of personal growth through service, will appear in my upcoming book Soul Serving. There is no way that Soul Serving would be possible without the stories like E.J.’s and the support of the community.